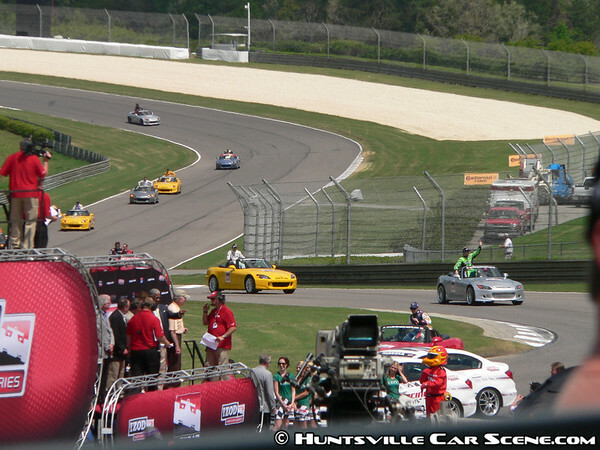 Another year at the Grand Prix of Alabama with s2000s parading the drivers around the track. This year was a bit different, where they put a stage in front of the grandstands and the cars stopped and dropped off their driver before proceeding along the track. And because of this change, our local s2000s got their first glimpse of national exposure as the cars were part of the telecast of the race. 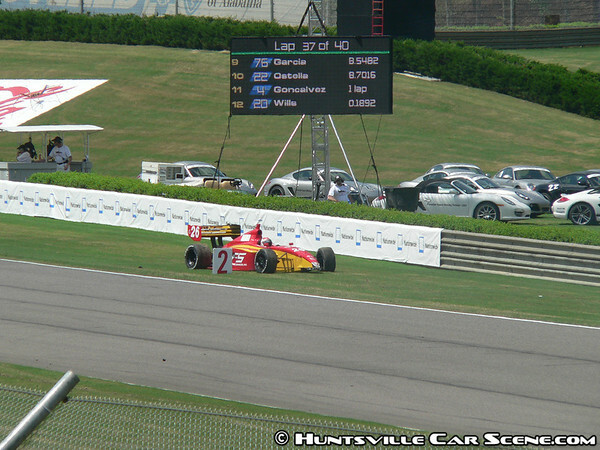 If you watched the race on ABC, you actually saw many of the cars on track. Jeanie and her boyfriend TJ tagged along and came down for their first ever visit to Barber and first ever race at a track. 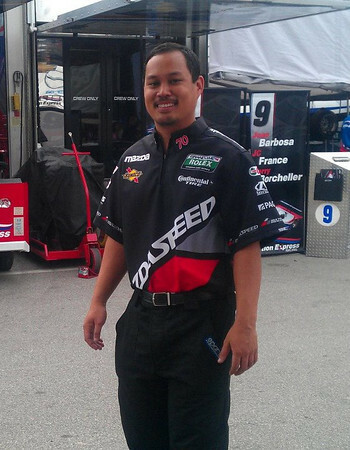 Jeanie and I had a lot of fun creating some pictures with the cars in the car corral before the races. She's a lot of fun to work with and a lot of the guys in the corral mentioned that she was even more attractive and personable than most of the promotional models there that weekend. With as professional as she is, I think she'd be perfect for the job. What was really interesting is that TJ's car looked very familiar. 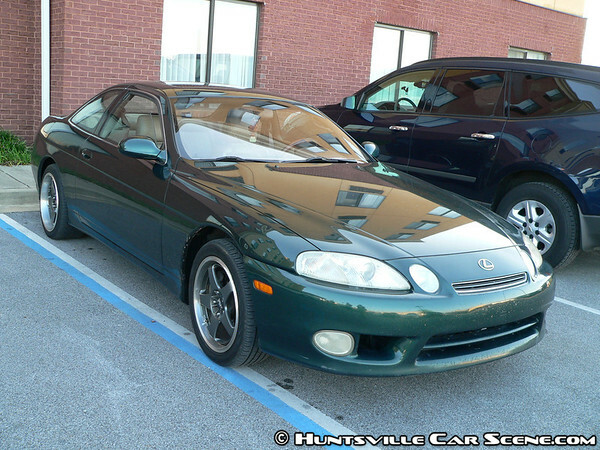 It looked just like Wilson's old Lexus. 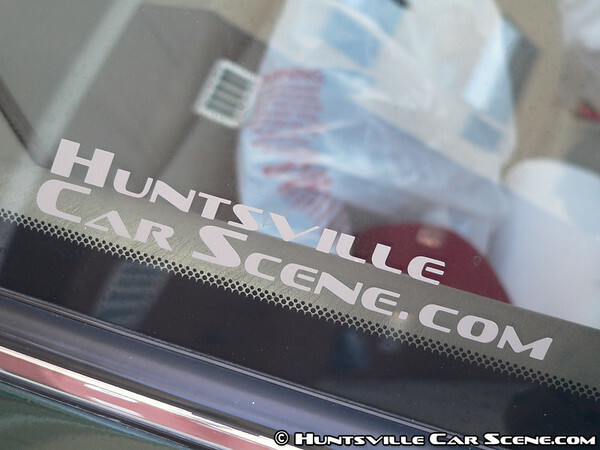 And after I saw the Huntsville Car Scene stickers, indeed it was. After the finish of the race, it was go-time for our s2000 group to do their stuff, and for me to do mine. For years now, the challenge has been to get photos of the car owners with their drivers on the track. And this year, I was finally happy with the results. I believe I got a shot of everyone on track at least once. After I accomplished this goal, I left the crowded grandstands to return to the car corral where I found Jeanie. We continued taking pictures until we were ready to go. But Jeanie wasn't the only lady that I ended up taking pictures of. The Grey Goose girls were visiting the car corral and took some pictures with the s2000s too. All throughout the day, I ran into very neat cars in traffic. 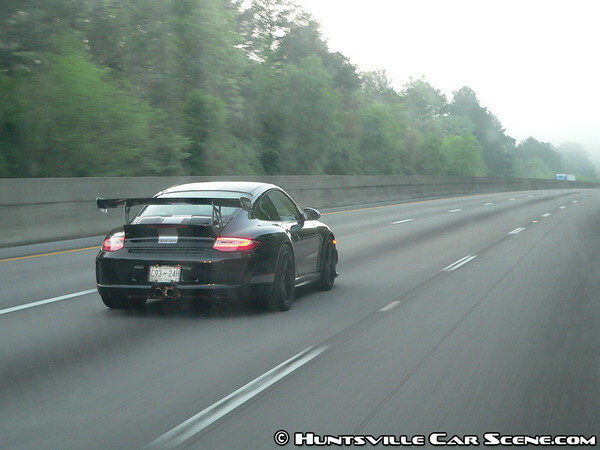 But my favorite was this Porsche that passed me early in the morning on I-65 as the fog was clearing. I also ran into my friend Manuel from Gadsden. 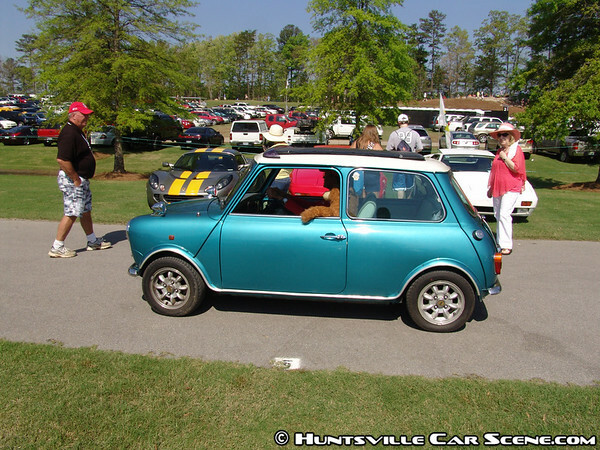 He had his mini out in style with his co-pilot. Unfortunately, he was rear ended the night before sitting at a light, so he had a nice big dent across the back panel. Hopefully he'll get this fixed soon. I told him about Rally Dixie 2012 rolling into Gadsden in June, so hopefully he'll be able to hang out with us there too. Another fun Sunday at Indy! Enjoy the pictures and video clips. Drop on by and say hi! 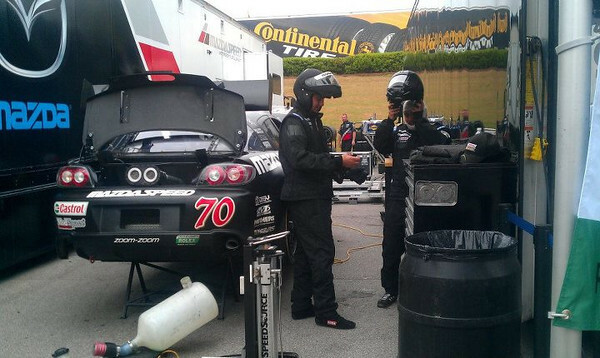 I've been working this weekend with the #70 speedSource team (Rolex grandAm GT series) as an assistant refueler and going over pitwall during pitstops. Last edited by sok07; March 31st at 02:08 AM. I will be there tomorrow. 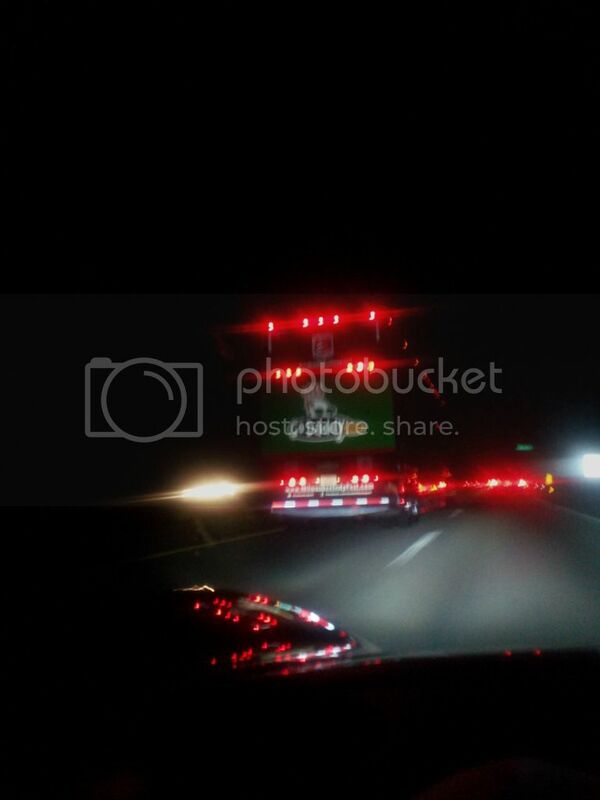 Are those the tailgater elimination rockets sticking out of the trunk? I figure the officials would kind of frown upon that, LOL. Ultra cool!!!! When did you get this gig? I wish I would have known earlier. I would have come down tonight after the events here instead of heading there early Sunday morning. We won in GT class yesterday! lol, that's actually the fueling point. Awesome! 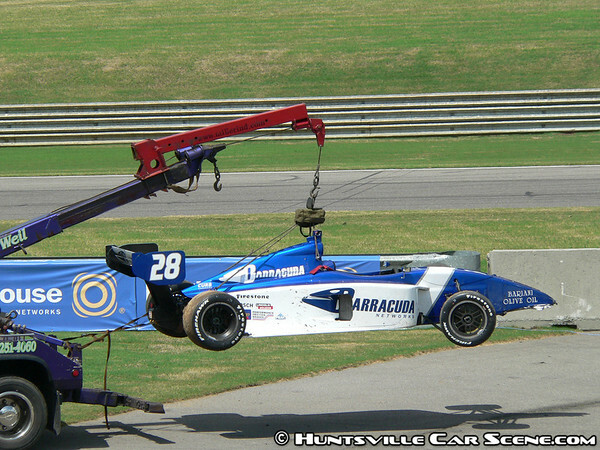 I'm assuming those are the 3-rotors that scream down the backstretch. Did you stay for Sunday's race as well? I should have called you. I was only there for the grandam days....thursday-saturday. More pics here. 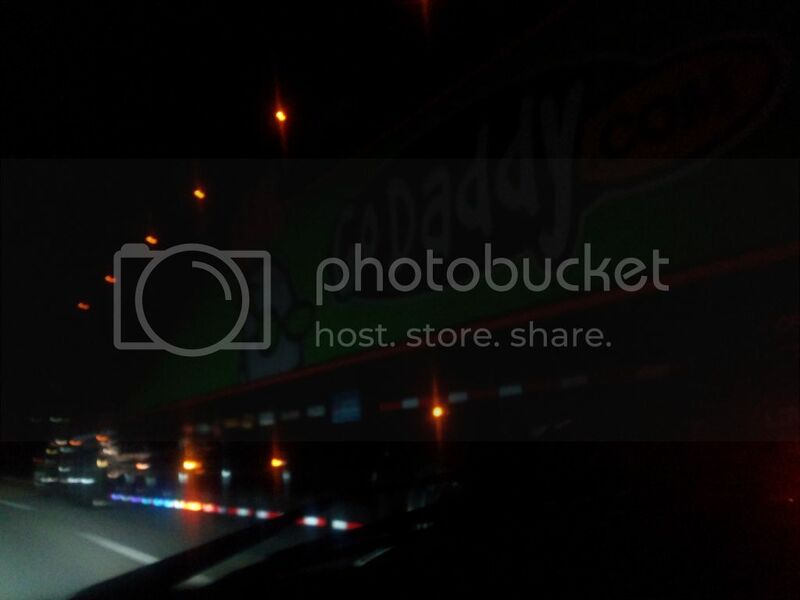 Saw the huge Go Daddy.com Andretti Autosport trailer headed north on 65 last night as I was coming back from a friends house. I assume he was leaving from this race. Shocker gone wild. Kermdaddy's speciality!